The summer of 1984 is one of those legendary movie years filled with impossibly good things: Indiana Jones and the Temple of Doom, the simultaneous release of Ghostbusters and Gremlins, plus Star Trek III and Purple Rain and …The Karate Kid! A young kid from New Jersey, living in L.A.’s San Fernando Valley, bullied and unhappy — until he meets a martial arts master. 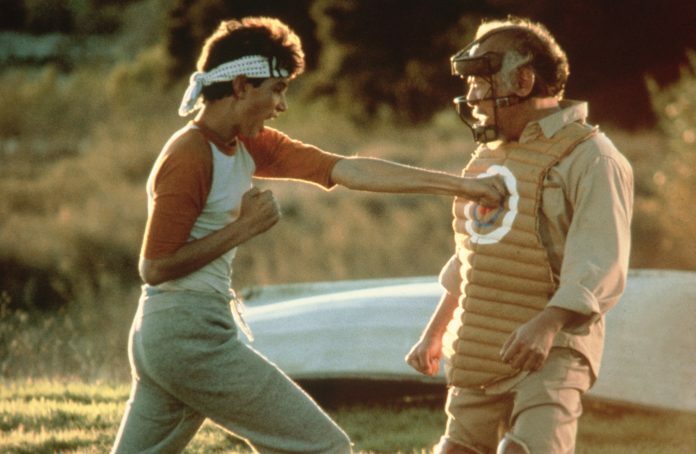 The movie was THE KARATE KID from director John G. Avildsen, whose Rocky had won Best Picture eight years earlier … and THE KARATE KID has been a movie favorite ever since.